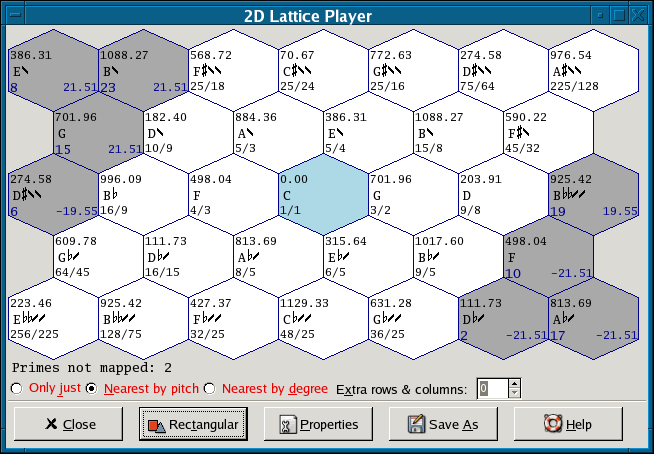 Scala is an editor, librarian, and analysis tool for musical tunings, intonation scales, equal or historical temperaments, non-western scales and microtonal or macrotonal scales. It allows scales to be created, heard, manipulated and combined in many different ways. It can tune various different synthesizers and samplers via standard MIDI-files. It can also modify the tuning of music in MIDI-files. Users can execute their own written programs using the Scala command language. There are more than 400 different command combinations. More than 100 note name systems are built in. Added text search in scale descriptions. Improved Convergents dialog, with Stern-Brocot tree navigation. Various improvements of the Edit dialog, some attributes were made directly editable, like FREQUENCY and INTERVAL. Added Filter button to Input dialog which removes text not being a pitch value. Improved Chord dialog with playback memories.